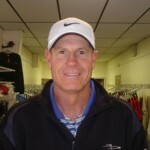 Call 603-524-7808 to book a lesson with Jim. The Pro Shop will organize Ladies and Men’s golf clinics in the early spring. Junior clinics will be scheduled based on demand and availability.